Autumn sprinkled foliage blasts an array of colors like orange, yellow, and red onto the mountain landscape that’s freshly covered with a dusting of snow. The season almost brings fourth a sigh of relief, things are changing and another winter season is almost here. Enthusiasts are on the tip of their toes attempting to predict the nearly unpredictable – what will winter bring? Distinct memories and images of deep pockets of fluffy powder and adrenaline-filled lines sets the mind into a frenzy-filled emotion. But some folks are electing to ditch the day pass and venture into the varied terrain of the backcountry. So with another season approaching here’s why it’s important to invest not just in new equipment but in avalanche education as well. According to the Colorado Avalanche Information Center over the past 10 winters approximately 27 people have died each season in the United States due to avalanches. This doesn’t take into account those who have narrowly escaped death by miraculously staying atop or being dug up by partners. Avalanches are scary and a real factor when heading into backcountry terrain. As Polish Poet Stanislaw Jerzy Lec wrote “no snowflake in an avalanche ever feels responsible,” it just brings focus to the fact that mother nature is powerful and doesn’t take into consideration our ski habits. However as backcountry skiers and snowboarders we must feel the responsibility of making wise decisions on how we stay safe and one of the biggest steps to getting to this point is avalanche education. Amidst a growing backcountry scene there are countless resources online and in-person to start the training process. REI does free Avalanche Awareness courses for the public highlighting avalanche recognition as well as managing risk while in backcountry terrain. BCA (Backcountry Access), a company that manufacturers safety products has produced a number of resources on their website showing videos on avalanche rescue as well as a step by step on the five backcountry basics – an essential start for those new to the backcountry scene. For further training (which is key), there are a number of providers and institutes that operate within the larger associations of AIARE (American Institute for Avalanche Research and Education), a non-profit organization with over 90 providers that operates education programs. 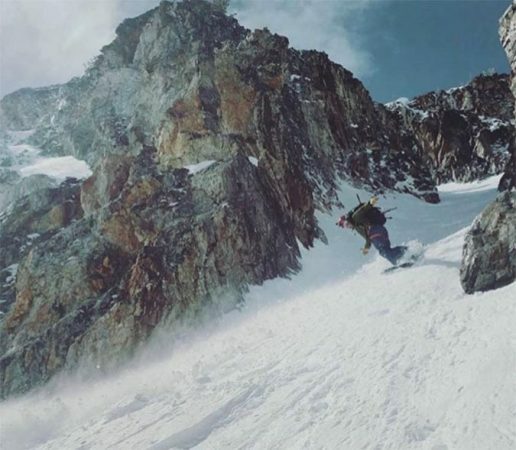 Another organization for those possibly looking to go more into the professional snow industry is the American Avalanche Association, a member organization dedicated to studying, forecasting, and mitigating avalanche accidents. Ski Vacation. Depending on what course you choose to take you could use it as an excuse to check out a new area. Many of the providers have courses all around the country: might as well get two birds with one stone and plan a ski trip with the course. Hut Travel. Who doesn’t like the opportunity to trudge out into the wilderness and stay in a quaint hut surrounded by snow-laden mountains. Many courses such as the Crested Butte Mountain Guides, Wallowa Alpine Huts, and Sawtooth Mountain Guides to name a few, provide backcountry hut avalanche courses, adding to the experience. Go Cat Skiing. While this option somewhat defeats the purpose of human powered leg movement to the destination it does allow for speedy travel to the course site and you’re in a snowcat, an awesome experience in itself! There are a number of providers who have assembled courses using snowcats like Steamboat Powder Cats, Cascade Powder Cats, and White Pine Touring. Meet New Partners. Folks who attend avalanche courses are often athletically capable and excited to begin to explore terrain beyond resort boundaries. The eagerness and group dynamics can build tight bonds over three days, which can often equate to new partners in the backcountry, which is always good. While the course doesn’t instantly make you an experienced backcountry guru, you will be savvy enough to assess the snow and terrain to make wise decisions. Some organizations bring focus to youth while others seek to increase female participation with courses just for ladies. Utah Mountain Adventures provides youth courses and outfits like Salt Lake City-based SheJumps provide youth and adult female-based education while Truckee based Backcountry Babes provide nationwide women-specific avalanche courses. Knowledge. The knowledge gained through these courses will make you more confident to slap the skins on and go. However, by no means does guarantee your safety. Safe decisions come down to prudent considerations while in backcountry terrain. Use of equipment, understanding snow forecasts, weather patterns, terrain, and group dynamics are all expanded upon in these courses and are the staple in efficiently enjoying skiing and snowboarding in wild places.